Introducing… a whole new way to address dog breath! For fresh, minty breath and pearly, white teeth, feed Herbsmith Dog Breath Dental Treats once a day. 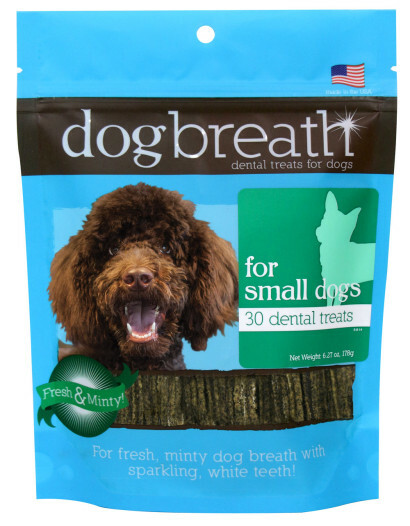 Dog Breath Dental Treats are made with spearmint, parsley, and sea algae to promote healthy teeth and fresh, minty breath in a fun-to-eat treat. Fresh breath and clean teeth for your patients just got easier! No brushing. No spraying. No struggle. Just a fun-to-eat treat! Directions for use: Feed as a treat, once per day. 15 tasty treats for large dogs. 30 tasty treats for small dogs.